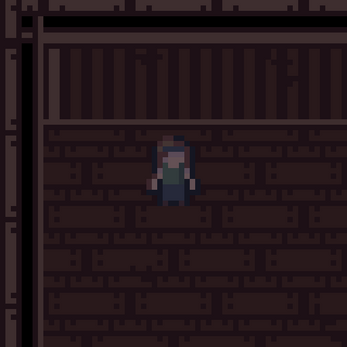 An incredibly short prototype for a survival horror game I made along with relick for LOWREZJAM 2018. NOTE: versions 1.0.0 and 1.0.1 are identical except that the latter includes the .dll files necessary for the game to run properly. Extract the game to a suitable location on your computer and run the executable. I put that notice up there for the purposes of the game jam that it was initially submitted for, so no-one would accuse me of cheating by adding features during the rating period. Otherwise it doesn't make much sense, I must admit.